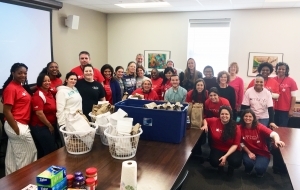 On March 19th, Macy’s Partners in Time/Bag Hunger team and the Women at Macy’s (WAM) Employee Resource Group co-sponsored a Give Back activity with the women in our Off the Streets Program. Macy’s March goal was to support a local non-profit dedicated to raising up women in our community, in honor of Women’s History Month, in line with the national WAM agreement to use the week of 3/19/18 as a week of action. 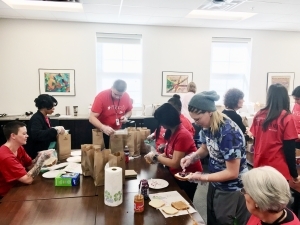 The event include the women of OTS working with Macy’s employees to make 100 bagged lunches. 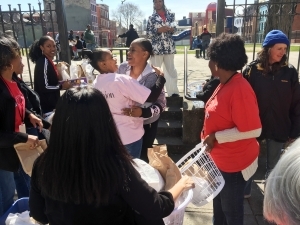 The lunches were then distributed to the homeless in Cincinnati. The women of the OTS program loved meeting and interacting with volunteers but, more importantly, loved that they were able give back to their community, too. 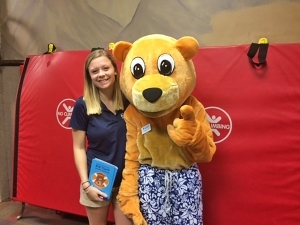 Thank you to Bear Paddle Swim School for coming to each of our CUB Early Learning Academies to teach the children about water safety. Educate your swimmers on Water Safety rules to keep them safe and happy all year long. Along with the swim education, they set up a life jacket drive for our ECE students so that everyone was safe this summer. We are grateful for kindness and wiliness to give back to the community. We are so thankful to have an ongoing partnership with the Mt. Auburn Presbyterian Church. 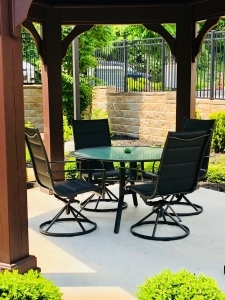 The church recently decided to donate a new outdoor patio table and chairs for the the women in Off the Streets to make it feel more like home. They also decorated the outdoor patio with a mosaic tile bird bath and bronze wind catcher. The women are so grateful for their new space! CUB is so grateful to our newest community partner Clifton Markets. Clifton Markets has generously agreed to donate food to CUB that can be distributed through all three of our program on a monthly basis. Thank you so much for your generosity!